If you want a fast network that doesn’t drop out then speak to the experts here at Fixtel. If it is for your home or business in Canberra, we can help. Fixtel also partners with governments to fit out and upgrade their buildings with data cable infrastructure. And we offer ongoing maintenance and repairs. Our Fixtel technicians install data and voice cable so you can connect to the best data speeds and run them throughout your home or business. Data cabling is needed for home automation, NBN, smart TVs (access to Netflix, Fetch etc). For over 25 years we have serviced Canberra and provided data cabling installation for homes and businesses including offering technology communication solutions. Our Canberra Fixtel team offers a free onsite analysis report of your existing data cabling or site report for installing data and voice cabling. Businesses must have the best communication technology to grow and be successful. At Fixtel we understand how vital communication technology is to businesses and we partner with your business to make sure you have the best and stay in budget. We will save you money with price matching competitive quotes. In addition our technicians are leaders in the field and work better than any other competitor. Want High Speed Connection to Your Home? If you run a home business or love home entertainment then you need data cabling in your home. Data cabling for your Canberra home means you can access the latest in communication technology. Like home automation which is just in its infancy right now – imagine what it will be like in years to come. Future proof your home with Fixtel. Imagine answering your doorbell whilst on holiday – the visitor will not even realise you are away! Or turn on your oven to warm up as you drive home. Turn on lights and open blinds with a voice command. Fixtel offers free home installation analysis and quote anywhere in Canberra. Fixtel services the whole of Canberra, contact our team for home data cabling, business data cabling and government data cabling. 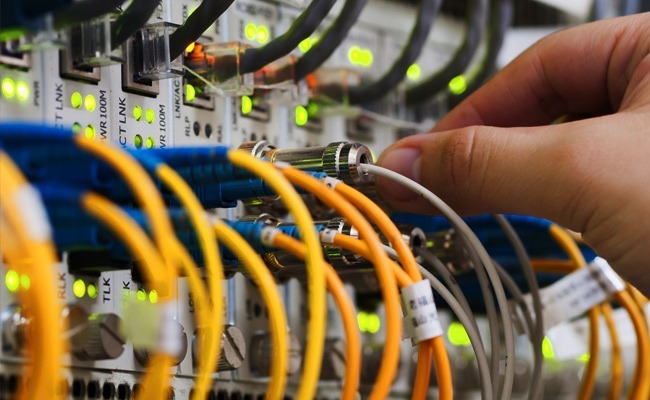 Let us put together a tailored data cabling packages to meet your budget.